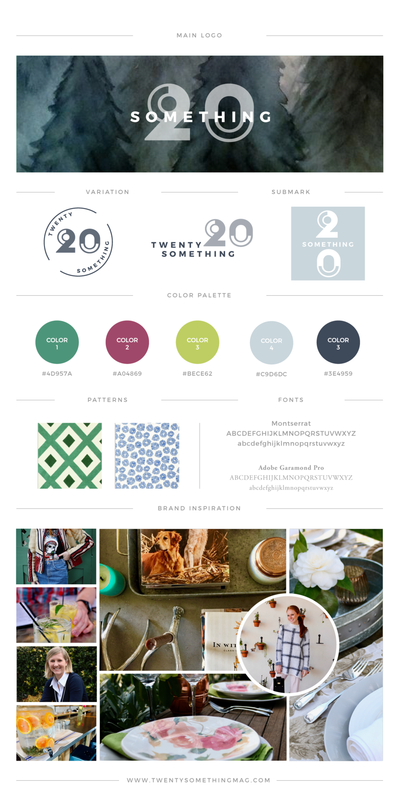 I waited to develop an overall style and logo for the Twenty Something brand. I wanted to cater the colors, fonts, and voice to the specific content that I chose to use. Often I have found that I start projects with grand ideas and a specific vision. However, I find that many projects turn out incredibly different from what I first envisioned. Realizing this, I have learned that waiting to build the style guide from my collected content allowed me to work from a brand board. This kept my design style focused and consistent.